A small retro inspired indie shmup that takes inspiration from the pixel games of yesterday and combines it with modern game engine technology. Happy Holidays from We Make Small Games! The year is winding down and while the crisp December air might be chilly - we’ve been working hard to keep warm by focusing on several key aspects of That Tiny Spaceship. Since our last update in September we’ve finalized planning on what gameplay elements will comprise the 5 levels for the final game, tweaked the physics model used for ship movement to make the flow of gameplay faster, completed a draft version of Original Soundtrack and have a number of other things planned that hopefully will surprise players when we launch in 2019. I've poked both Luca Bicano (Art Lead) and DJ NekoArc (Music) to talk to them about what inspired their contributions to That Tiny Spaceship and what working on the game has been like. “Hello! My name is Luca Bicono, I’m a trans woman and also one of the artists working on That Tiny Spaceship! When I was first commissioned to work on TTS, I expected to only be kept on for a few assets. Words can’t describe how excited I was when Kitsune asked if I wanted to join We Make Small Games’ dev team; I was nervous and scared but also so honored and motivated to put my best foot forward to make sure I did the team proud! In addition to helping me test my skills when it comes to background assets and vehicle designs, working on TTS has been a great exercise in character design; being able to try my hand at designing characters without first having names or backgrounds to help shape their visual appearances has definitely been an interesting venture. Not being limited by a strict set of rules allowed me to design not only the sorts of trans- and gender-neutral-coded characters that I wish I had to look up to as a child, but also remedy problems that I’ve seen in other fantasy/sci-fi media (for example, female anthropomorphic creatures being mostly human in appearance while their male counterparts are animalistic). 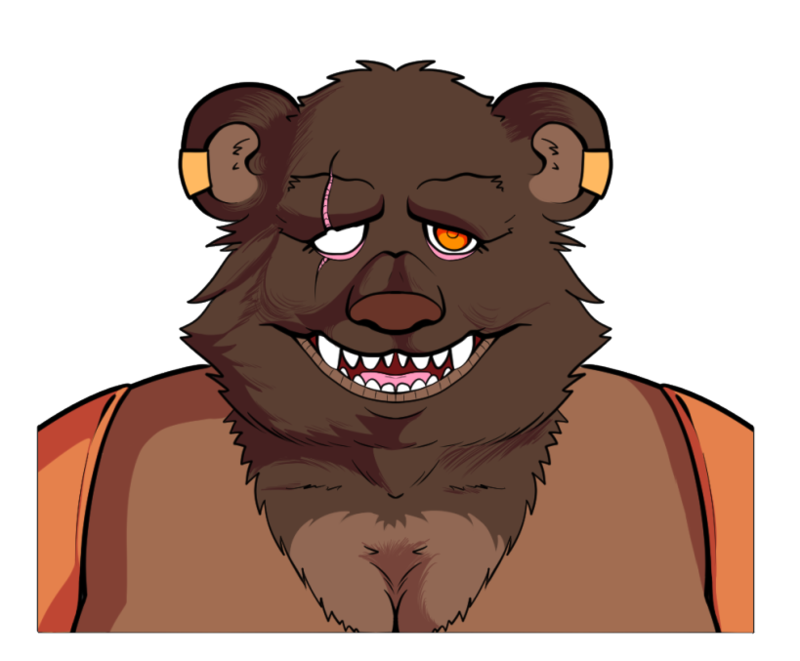 An Example of Characters Developed By Luca! 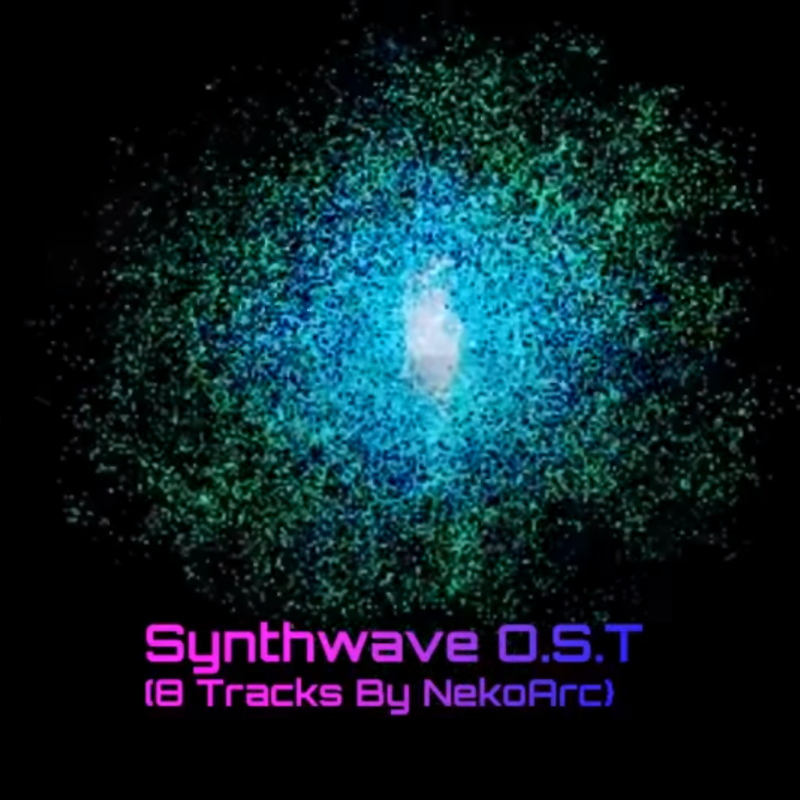 Right now, the draft version of That Tiny Spaceship’s soundtrack includes 8 energetic synthwave tracks - each of which brings their own distinct sound and emotion while complimenting the vibrant and clean look that we’re going for with That Tiny Spaceship’s aesthetic. Gameplay in That Tiny Spaceship has been designed to feel tense but not overwhelming. Dangerous but not requiring the skill that some well-known bullet hell games can demand. I wanted to design a short, arcade-like space shooter that evokes the feeling of older coin-op arcade titles like Midway’s Defender without emulating the games of the 1980s directly. That Tiny Spaceship should draw upon the fundamentals that helped establish the shmup genre while having its own unique feel to movement thanks to the physics-based movement system that we've chosen. Each of the 4 main stages in That Tiny Spaceship’s Arcade Mode will introduce you to a mechanic unique to that level. You can see an example of this in the ‘Retrofitted’ trailer with the warning labels at the edge of the screen - all of these mechanics will culminate in a final 5th level that will test your mastery of the mechanics with difficulty ramped up! With planning for all of the levels completed, I’ve been working hard to ensure that the specific mechanics work as intended. I want them to keep players moving, thinking and aware that no area of the screen is particularly safe. Here’s a sneak peek at the second level’s unique mechanic taken, can you guess what it is? Folks watching our release date on our Steam Page might have noticed that the date has shifted from Summer 2018 to Fall 2018 and now to Q1 2019. Since game development isn’t an exact science sometimes things take longer than we anticipate. Since announcement back in May we’ve added an additional level and quite a few things to the game’s design/presentation that will lead to an improved experience when everything is done. As we update TTS’ Steam Page we will continue to put our best estimate for a release date as things progress. Taking a Cue From Coin-Op – Utilizing tried and true mechanics that helped define the shmup genre, That Tiny Spaceship’s gameplay returns to the days where forward was the only way to go and getting a power-up opened up new tactical options. Warp from one side of the playfield to the other, just like in the arcade titles of yesterday. A Few Seconds Can Feel Like A Lifetime – Each mission in That Tiny Spaceship might only be a couple of minutes long but when a flaming asteroid or enemy fighter comes barreling towards you with little notice, reaction time can make the difference between placing a high score and being another piece of space debris. 5 Levels – Travel from the narrow spaces of an asteroid field to a battle for survival within orbit of a blazing sun in That Tiny Spaceship’s 5 campaign missions. Each mission features a unique locale, unique gameplay mechanics and challenges that build upon the foundations established in prior missions. 10+ Achievements – Mastering each of the 5 levels is just the beginning for those looking to obtain all of the achievements in That Tiny Spaceship. Just like console games from the 16-bit era, there’s going to be a number of hidden Easter Eggs and challenges if you want to 100% That Tiny Spaceship. Physics of Fun – Every moving object, hazard, ship and projectile utilizes a built-in physics simulation. While this does not provide the “pixel perfect” accuracy that earlier shoot’em ups made their name on, it provides a unique sense of movement and flow not found in similar games. Full Controller Support – Now fully supports the Xbox One gamepad from the first menu right through to your last pulverizing explosive death when an asteroid careened into That Tiny Spaceship. 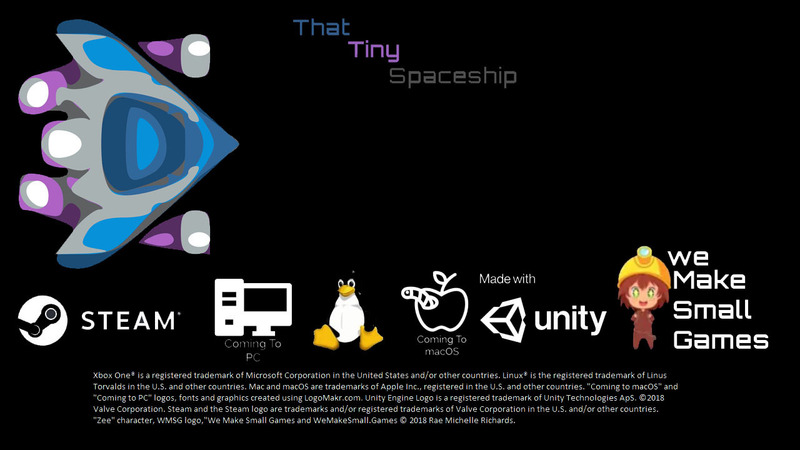 Chose Where You Play – At launch That Tiny Spaceship will be available on Microsoft Windows, macOS and Linux. More information on the macOS and Linux ports will be released at a later date. 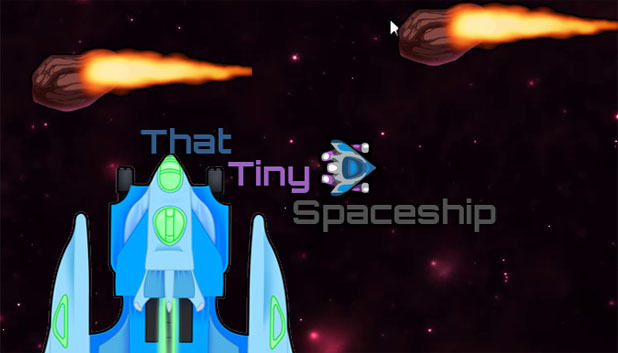 Dynamic Backgrounds – That Tiny Spaceship generates the stunning and vibrant particle based backgrounds as the game is played. Enjoy the majesty of virtual space with ever changing colorful swirls and stars. Brand New Tutorial System – Key mechanics, gameplay tips and strategies will be available through both standard static tutorial screens and interactive lessons.